The Bermuda office of Appleby announced the appointment of one lawyer to partner and the appointment of two further lawyers to the position of Counsel. The Bermuda-based lawyers join five others across the Appleby group globally including one further partner appointment and four appointments to Counsel. In Bermuda, Appleby lawyer Keith Robinson is appointed to Partner and Clive Langley and Steven Rees Davies to Counsel with effect from 1 April 2014. Appleby Bermuda Managing Partner, Kiernan Bell said, “These appointments are timely and recognise the hard work, skill and expertise of these talented lawyers. Appleby Group Chairman, Frances Woo, added, “These appointments come at an exciting time in our development when we are seeing significant increases in work-flow as the economy continues to show signs of improvement. Keith Robinson is a member of Appleby’s litigation and insolvency group based in the Bermuda office. His practice focuses on high value trust disputes and restructurings often with a multi-jurisdictional element. He has advised and represented trustees, beneficiaries and other fiduciaries. He has been involved in many of the major trust cases in Bermuda over the last number of years and in the last year has appeared in a number of legally significant reported decisions. Mr. Robinson joined Appleby in 2008. Clive Langley is a member of Appleby’s corporate and commercial group in Bermuda, who specialises in banking and asset finance. Prior to joining the firm in 2005 he worked for the International law firm Weil, Gotshal & Manges in their London and Silicon Valley offices. Mr. Langley has extensive experience in corporate and commercial law as well as international finance, regularly advising both lenders and borrowers on a wide range of matters. 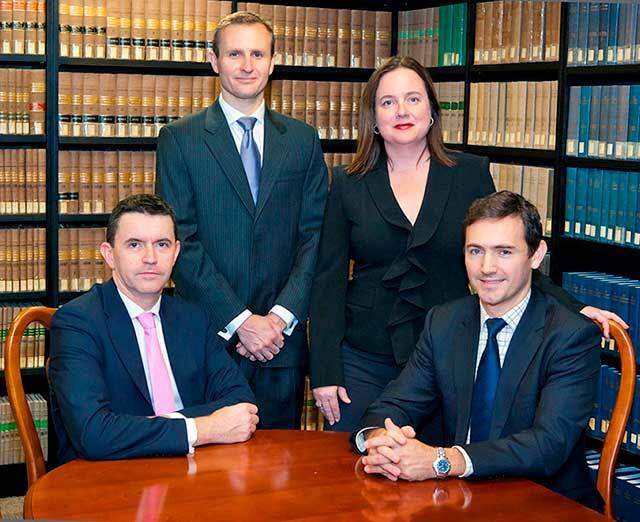 Steven Rees Davies is a member of Appleby’s corporate and commercial group in Bermuda. He joined Appleby in 2008, having previously worked for top tier firms in England. He practises company, corporate and commercial law, specialising in corporate finance, structuring, development and related transactional and commercial matters. He has particular experience in multinational and cross jurisdictional joint venture projects. His work extends to all industries but he has particular expertise in the areas of telecommunications, technology and intellectual property. I am told if you pull a stunt after mid day on the 1 st of April, the joke is on you, my learned friend. Greed is killing Bermuda ! Congrats guys, many could not wait their turn or were not given the opportunity.